Hi! 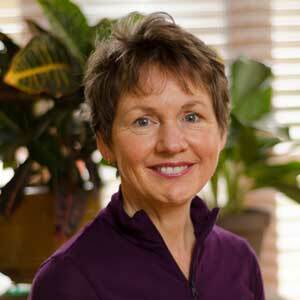 My name is Margaret Martin and I am a Physical Therapist with 35 years of clinical experience. My expertise is in the treatment and prevention of osteoporosis through exercise, safe movement and fall prevention. For the last 15 years, I have concentrated on bone health and have treated thousands of patients for their osteoporosis, osteopenia and low bone density. Write and publish three books on osteoporosis and exercise. Create an osteoporosis exercise video DVD. Produce a 15 hour continuing education course for Physical Therapists and other health professionals on the prevention and treatment of osteoporosis. I am trained in manual therapy, myofascial release, ergonomics for home and work, trigger point therapy release, exercise prescription, Yoga and Nordic Walking. I have practiced Physical Therapy in California, British Columbia and Ontario. School of Physical and Occupational Therapy at McGill University in Montreal, Canada. I graduated in 1984. I am the proud recipient of the 2011 Award of Distinction from the College of Physiotherapists of Ontario for my significant contributions and achievements as a Physiotherapist. I have published three books on osteoporosis and exercise. All books are available on Amazon in both print and Kindle formats. Exercise for Better Bones. Exercise for Better Bones has over 100 reviews on amazon.com, amazon.ca and amazon.co.uk with 5 star rating. Used by thousands of individuals worldwide. Yoga for Better Bones. Designed for yoga students and practitioners concerned about bone health but want to continue practicing their yoga mindful of their bones. Strengthen Your Core. Unfortunately, core strength is often overlooked in most exercise programs. It is essential to fall prevention and balance but needs to be practiced safely by the older adult. Recently, I produced a 90 minute workout video DVD on safe exercise for people with osteoporosis. The continuing education course, Working with Osteoporosis and Osteopenia, is accredited with all Physical Therapy Licensing boards across the United States. Thousands of Physical Therapists in the United States, Canada and around the world have completed my course. Working with Osteoporosis and Osteopenia is available on MedBridge Education. When Exercising Becomes a Hazard, Toronto Star. Exercise and Osteoporosis, Dr. Rebecca Risk Podcast. How to Fight Osteoporosis and Build Stronger Bodies, Senior Rehab Project Podcast. Osteoporosis Awareness, CTV Ottawa Morning Live. I am also a member of the Expert Council for Osteoporosis at healthandbone.ca. I have held several professional leadership roles with Physiotherapy and Fitness Training professional organizations. President of the Ontario Provincial Division of the National Strength and Conditioning Association (NSCA). 2008. President of the Central Toronto District of the Ontario Physiotherapy Association (OPA). 1990. Vice President of the Central Toronto District of the Ontario Physiotherapy Association (OPA). 1989. My work in Physical Therapy and osteoporosis has been recognized by academics and other health professionals. Two recent published text books cite my work. John C. Griffin has written a client-centered exercise prescription theory and application book that is used both as a resource by health and fitness professionals and as a textbook for kinesiology and Physical Therapy courses. In chapter 12 of his book, Exercise and Musculoskeletal Conditions in Older Adults, Griffin references my book, Exercises for Better Bones by Margaret Martin. My aim is to provide the highest level of Physical Therapy service to my patients. As a result, I invest a lot of time and effort into my own continuing education, training and professional self development. Here are a sample of the continuing education courses I have completed by major category. Myofascial Release Level I, Ottaw, ON. Myofascial Release Level II & Myofascial Unwinding, Cape Cod, MA. Develop an bone building exercise program. Recover from an injury, fracture or joint replacement. Avoid the flare-up of an old injury. Review and refresh an old exercise program. Ensure your current exercise program is safe and effective. Take control of your body through the combination of education, hands-on therapy, and selection of intelligent exercise. Services available in French and English. Services disponibles en français et en anglais. Since 1984 I have dedicated myself to helping individuals, like yourself, achieve their highest level of function and fitness. I have worked at YMCAs, Yoga studios, hospitals, rehabilitation centres, community clinics, as well as industrial settings across Canada and the United States. Before I started MelioGuide, I owned two companies: Injury Reduction in the Workplace and Full Swing – Golf Performance. I am a high energy, caring person who practices what she preaches. My daily movements usually incorporates at least one of the following practices: Yoga, TaiChi, strength training, high intensity interval training, vigorous walks, and cycling. I consume a diet that is alkaline based with plenty of vegetables, locally farm-raised animal protein and legumes. And my passions include nutrition, gardening, and mindful, intelligent movement. 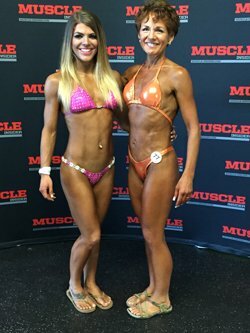 In 2016 I competed in a body building contest. This give me the opportunity to personally experience what it is like to truly build strength and manage your diet. My most significant contribution to society has been creating two outstanding human beings, John and Katherine. I am blessed to have the support and wonderful company of my husband, Richard. I look forward to sharing another thirty years with him.